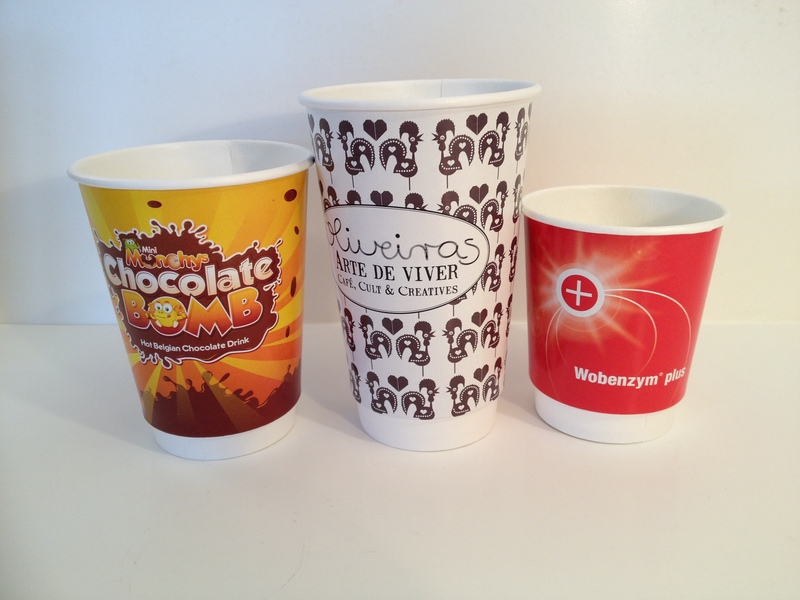 Biodegradable Paper Cups for Vending Machines are the latest addition to our product range. For those that are new to the coffee and coffee cup manufacturing industry, vending cups are double wall paper cups, much as your regular branded coffee cup but are slightly different in quantity and dimensions. While a coffee shop would offer its patrons large cups ranging between 12 oz and the more popular 16 oz double wall cups. The same is not a wise choice when used in conjunction with a self service vending machine, often installed in institutions and offices, and more than often at a subsidised cost per cup of coffee, or even free. 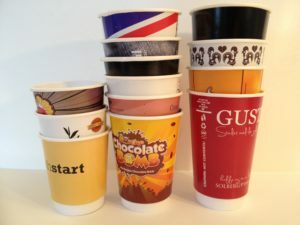 In such a scenario, research shows that most people don't drink the entire cup and there is a regular loss of coffee or any other drink being served. 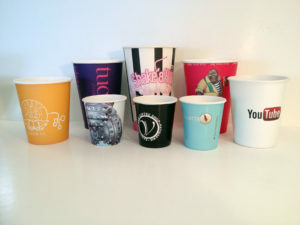 Moreover, often at vending machines, patrons are not comfortable with the large cup that comes with a lid, and would rather take a sip from a smaller cup and walk away. 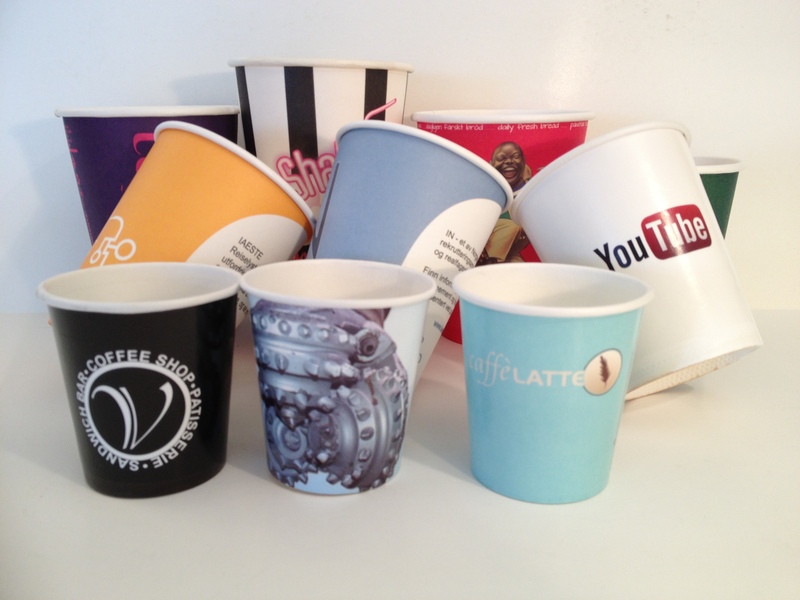 Thus, the capacity of the vending cups is what differentiates them from the regular coffee shop cup. 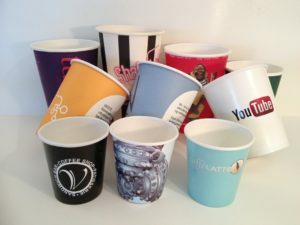 Another important factor determining their size is the feeling of holding a good amount of coffee while at the same time not wasting any, this has resulted in the vending cups being almost as tall as a regular paper coffee cup but slimmer than them, so that the total volume is less and can prevent wastage. 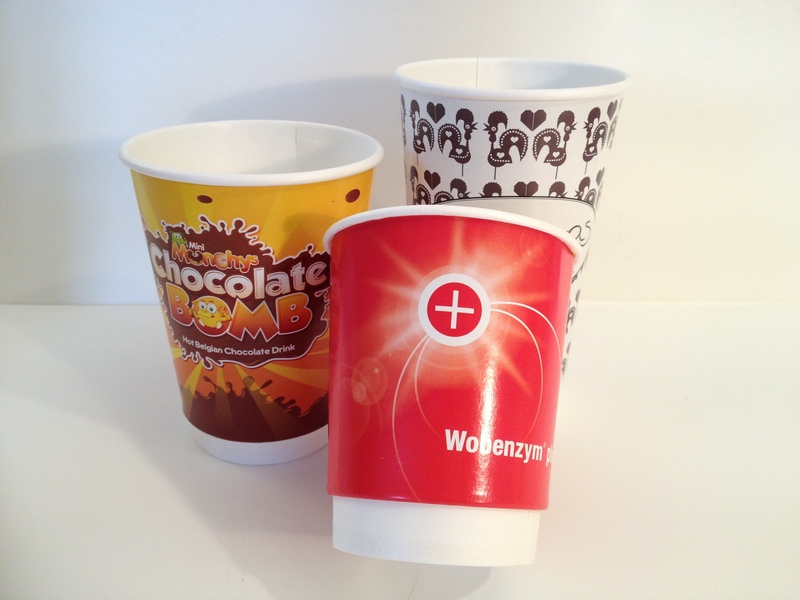 The third important factor is, ease of use at the vending station, the cups have to fit under different vending machine designs and their nozzles, and this has led Scyphus to design two more branded vending cup sizes to their range, viz. 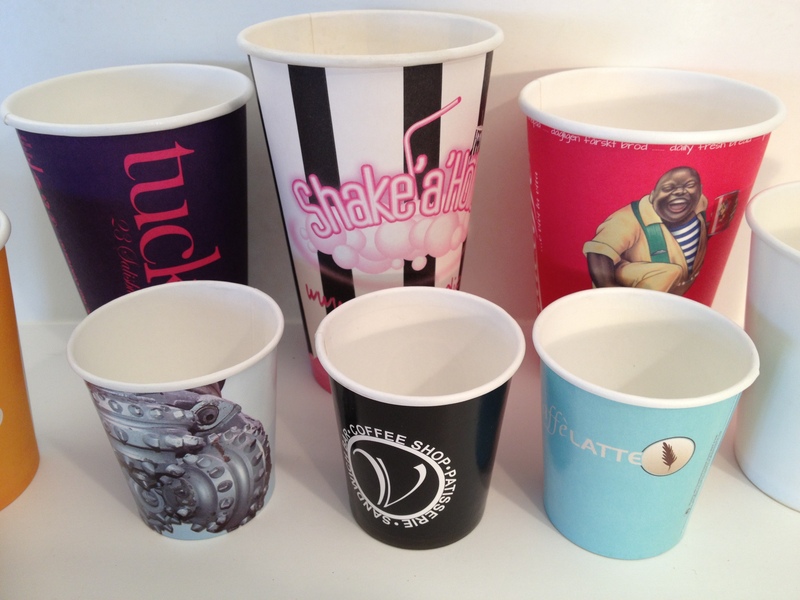 the 6 oz and 7 oz branded vending cups. 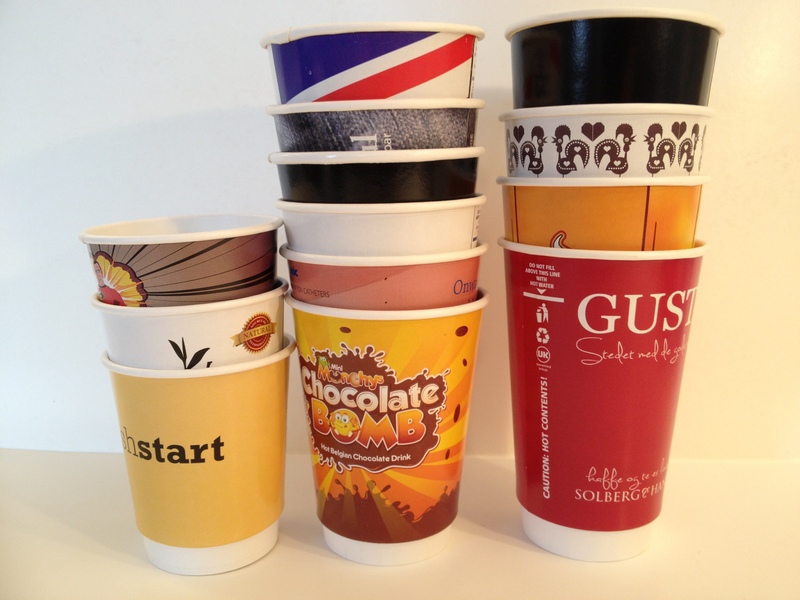 good grade with food Paperboard used is food grade Polylactic Acid (PLA) lamination. For cold drink vending machines, single wall cups of the 7oz tall size is more popularly used while for hot drink vending machines the short cups are more in use. The PLA coating and the thick high quality board used provides excellent insulation but for better heat insulation if you are serving very hot drinks, you might require cup sleeves or go for Double Wall Cups. 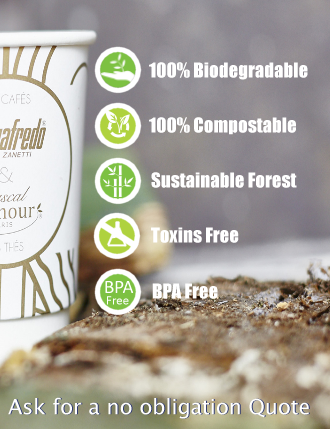 The cups are environment friendly, they are biodegradable and compostable. 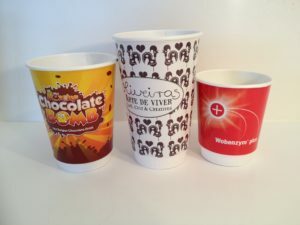 Coffee and Tea vending machines, Soft drink vending machines of popular brands.